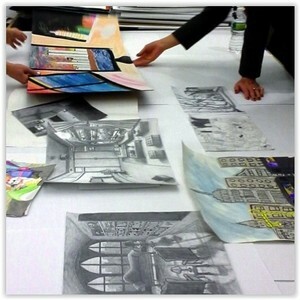 High 5 is a non-profit organization that offers teenagers $5 tickets to arts events in and around New York City. Whether it’s dance, theater, music, film, art or spoken word you’re into, tickets are available right here! High 5 Tickets to the Arts is dedicated to making the arts affordable for teens. Through High 5, teens ages 13 to 18 can buy $5 tickets to the best of New York City dance, music, theater and visual arts events all year round. In order to purchase tickets, all you need is an interest in the arts, a school ID and $5. For every eligible High 5 teen, they are allowed one (1) non-teen (adult or child) at the same $5 discount price. However, there can never be more adults than teens in a group. If you would like to go to an arts event as a group, use our Take 5 Program to buy 5 tickets at $5 each and get a sixth ticket free to use for a teen or adult. If you are interested in the visual arts, tickets to museums are two for $5 every day. We also have theater, dance, symphonies, Hip-Hop, film and spoken work, so check out our Event Calendar for a complete listing of events.